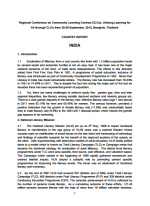 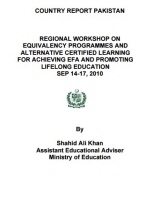 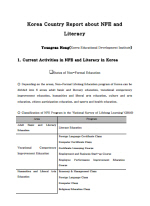 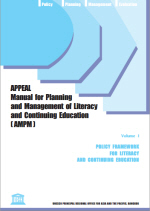 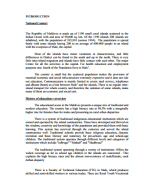 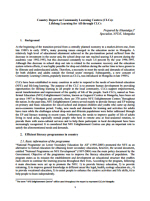 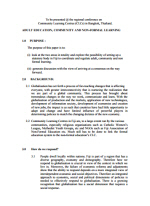 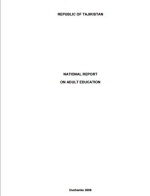 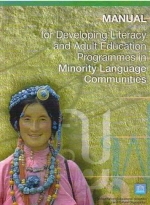 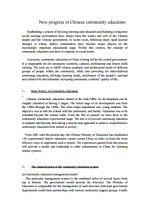 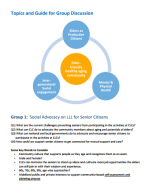 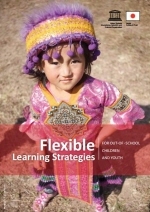 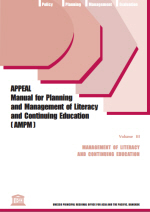 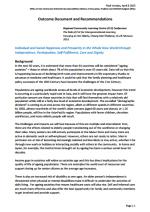 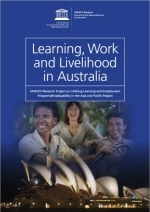 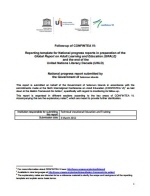 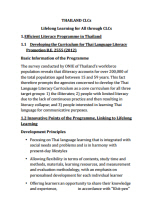 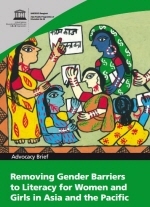 This sequential booklet was developed as part of the publication “Community-Based Lifelong Learning and Adult Education: Situations of Community Learning Centres in 7 Asian Countries”. 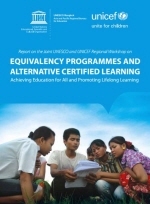 As one of the main outputs of UNESCO Bangkok’s project “Transforming Education and Training Systems to Create Lifelong Learning Societies in the Asia-Pacific” supported by the Japanese-Funds-in-Trust, this booklet was synthesized based on the comprehensive education sector review on lifelong learning in selected Asian countries, relevant researches and technical inputs of the national experts provided during the two consultation meetings held in Bangkok, Thailand. 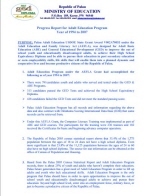 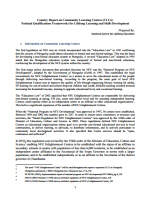 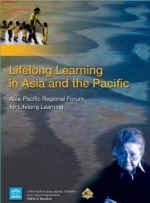 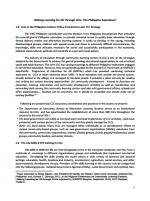 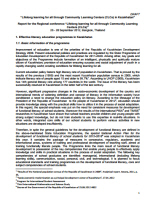 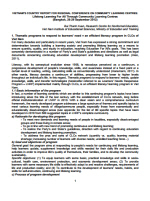 “Within the framework of the project “Transforming Education and Training Systems to Create Lifelong Learning Societies in the Asia-Pacific” supported by the Japan-Funds-in-Trust, this publication is to explore how the concept of lifelong learning has been implemented in seven selected Asia-Pacific countries based on comprehensive education sector reviews, relevant documents and data from the countries with the answers to the following two major questions: (1) How national policies and systems are developed to enhance lifelong learning and what skills and competencies are emphasised in national education policies, plans and practices?, and (2) How different types of educational institutions are mobilised to prepare different groups of learners with the skills and competencies required for a knowledge-based society? 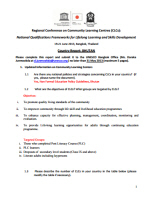 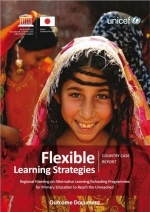 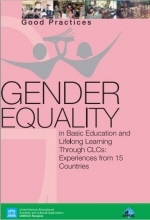 To assist policy-makers and CLC managers in transforming the role of community learning centre (CLC), as a key platform to provide vital knowledge and essential skills to marginalized learners, this booklet lays the foundation of the CLC frameworks and addresses the key areas for transforming CLCs. 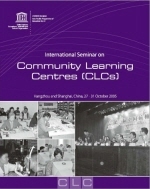 Taking into account successful examples and experiences from different countries in the Asia-Pacific, multiple aspects of the cross-cutting elements in the functions of the CLC – including the effective use of ICT, recognition, validation and accreditation, migration, sustainability, financing strategies, inter-sectoral approaches and decentralization – were specifically discussed. 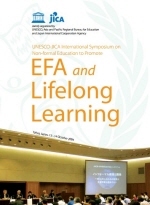 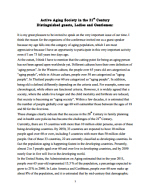 Lifelong Learning for the Third Age (ASEAN countries) "Time we have"
This handbook (1,8 MB; PDF) identifies principles and policy mechanisms to advance community-based learning for sustainable development, based on the commitments endorsed by the participants of the Kominkan-CLC International Conference on Education for Sustainable Development, which was held in Okayama City, Japan, in October 2014.